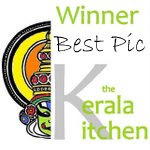 Best Presentation Pic award to the aromatic Meen(fish) Biriyani, from Melange, the presentation looks very elegant and very much like restaurant style.Kudoos to your neat work and delicious biriyani :-)Please grab your award too,dear.. 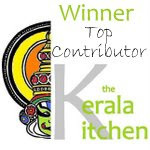 Enjoy all the yummy entries frenz and Thanks a bunch for making this event a memorable one for me !!! Wonderful roundup!! Congrats to all the winners! Nice roundup. Lot of great recipes. What a lovely round-up Julie! Thank you so much Julie..I was almost speechless seeing this.This is of course precious for me..Thanks and hugs once again. Hey and the round up turned awesome here. Congrats to the winner! 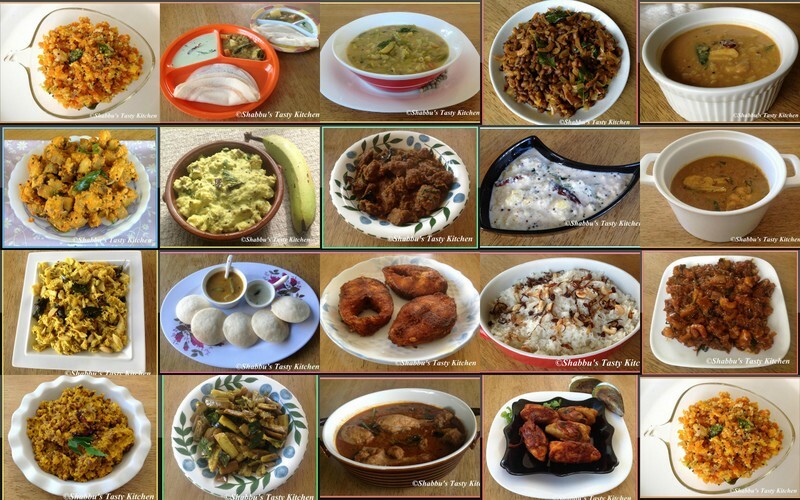 This is a beautiful collection of recipes! Woah! that's a lot of Kerala dishes!!!! I'm gonna try a few! Thank you Julie for the award..I am very happy to see all my photos in your blog...My first event award!!! looks fab!!! lovely round up!!! congrats to all winners!! !